Clay Zambo (Music Director) is a music director, composer-lyricist, vocal coach, and keyboard/pianist/organist. He has directed and done the keyboard, programming on numerous shows at the Bridgeport Downtown Cabaret (e.g. Hunchback of Notre Dame, Phantom, A Chorus Line, Fiddler on the Roof, Evita, Next to Normal). 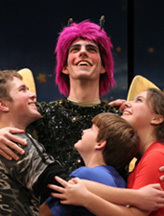 Clay has been a vocal coach at Hartt School Department of Theatre. 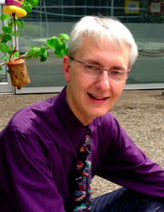 A former faculty member at Carnegie-Mellon University and the Idyllwild Arts Academy in California, he currently teaches at the Lucy Moses School in Manhattan, music-directs productions for the Kaufman Center’s Poppyseed Players, and serves as Director of Music Ministries for Our Lady of Fatima Parish in Connecticut. Also he is a member of the BMI-Lehman Engel Musical Theatre Workshop and the Dramatists Guild. Clay has been named by the York Theatre Company one of the musical theatre's "New, Emerging, Outstanding" composers; and his work is included in The Directory of Contemporary Musical Theatre Writers. His music, lyrics, or arrangements have been heard Off-Off Broadway (Modern Living, Downtown Dysfunctionals, The Fall of Eve and Adam, The Woman); in nationally and regionally touring educational-theatre productions (Inside Broadway); and an audiobook (Forbidden Fruit). I Am Star Trek was produced at the Edinburgh Fringe Festival and transferred to London. His work has been featured on NPR’s Car Talk. Many of his scores were commissioned for premiere at NYC’s Merkin Hall, including Yo, Jonah!, They Fly, and The Ballad of Thomas the Shammus. Jerold Goldstein (Music Director) has performed in numerous musical productions in New York City and on national tours, including Face the Music for the ENCORES series at the City Center in NYC and the national tour of Little Shop of Horrors and A Funny Thing Happened on the Way to the Forum. On Broadway he was in How to Succeed in Business Without Really Trying and Ain’t Broadway Grand. He won the Barrymore Award for Gun Metal Blues, was in the Kennedy Center's Shear Madness, & toured Europe in 42nd Street. Other shows have included Scandals, Animal Crackers, and Cocoanuts. He has composed for theater and television. As a composer, Jerold's shows (written with William Squier) have been performed around the country. Their songs include: Babalu and Music Is My Fist, which was featured twice at Steve McGraw’s, their holiday musical The Three Stooges and their newest musical, Route 66 (music: Fred Stark). 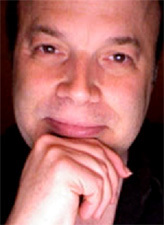 Jason Summers (Music Director for theater productions) portrayed the role of Zak in The Adventures of Zak for numerous years prior to the show going on hiatus. Jason has reprised his role of Zak and has been directing a cast from the Sandbox Theatre (in Mamaroneck, NY), where he is the Artistic Director, in numerous travelling performances of The Adventures of Zak in Westchester and Fairfield Counties. He has worked extensively as a director, choreographer, teacher, and performer regionally and throughout New York. Jason received his BFA in Drama at New York University's Tisch School of the Arts where he graduated with honors and was presented with two outstanding achievement awards, one from the Stella Adler Studio of Acting, and the other, the Seidman Award for his work as a performer and a scholar.